The staff consists of an elected Auditor/Treasurer, four elections/property tax staff and eleven centralized finanical staff. The Auditor/Treasurer is the County's Chief Financial Officer, responsible for Property Tax Administration, as well as the Supervisor of Elections. She is a member, by statute, of the county board of equalization, the county canvassing committee and sits on the budget committee, construction committee, and various other committees, councils, and boards as directed by the Board of Commissioners. Elections and Voter Registration - Conducts Federal, State, and County primary, general and special elections. Maintains voter registration cards utilizing the State registration system. Trains election judges. Prepares election ballots. Election results are received and reported through the state reporting system. Conducts post-election canvas. Prepares Abstract of Votes cast for Secretary of State. Property Taxes and Special Assessments - Calculates rates and prepares tax information, tax statements and "Truth in Taxation" notices for approximately 30,000 parcels. Maintains special assessments. Keeps records of all taxing district levies (townships, cities, schools, etc. ), tax collections and unpaid taxes. Distributes tax settlements to all taxing districts. Maintains delinquent taxes through the disposition of tax forfeited land. Monitors tax increment finance compliance. Douglas County has available a fast, convenient, hassle-free way to pay your property taxes with the Direct Payment Plan. With this convenient program, you can have your property tax payment automatically deducted from your checking or savings account at your financial institution on a semi-annual basis. Cash Management - Invests all surplus county funds. Maintains and monitors the county investment portfolio and all county bank accounts including Pope-Douglas Solid Waste Management. Reconciles monthly statements. County Budgets, Payroll and Annual Financial Statement - Issues payment for County department obligations including payroll and benefits, collects all County revenues, and prepares monthly reports for County board and departments. Prepares the annual financial statement for Douglas County. Prepares Pope-Douglas Solid Waste Management annual financial statement. Compiles and publishes the annual County budget. 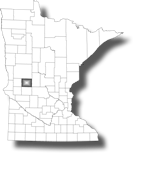 Licenses - Issues County liquor, beer, and wine licenses through the Minnesota Liquor Control Commission. Issues auctioneer, gambling, dangerous dog, precious metal and transient merchant licenses. Notary Service - Licensed notaries are available at our office.